If a gorgeous 5,000 sq. 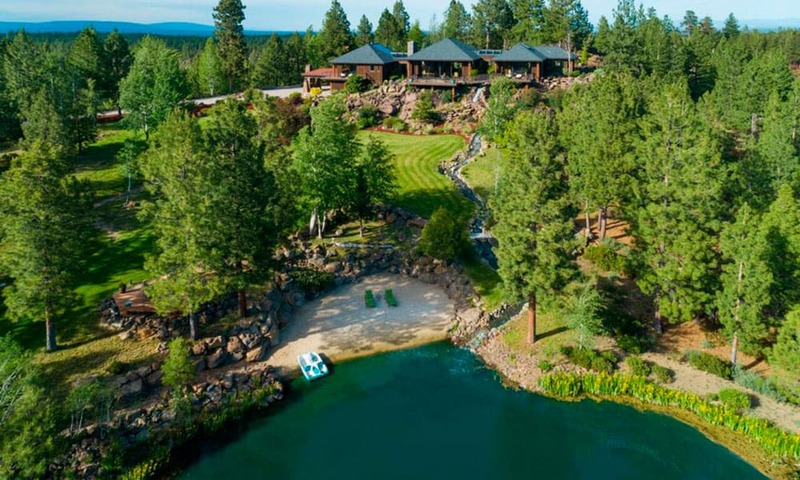 ft residence overlooking the Cascade Mountains sounds like paradise to you, it might be time to head to Oregon! If a gorgeous 5,000 sq. ft residence overlooking the Cascade Mountains sounds like a dream come true, it might be time to head to Oregon! Who wouldn’t want to reside in this 194 acre paradise that includes four custom horse stalls, stamped concrete floors, a tack room, and wash rack. Oh, and there’s also an additional 2-stall horse barn with hay storage, 40’ X 60’ hay barn, 250’ X 120’ outdoor riding arena, and auto irrigated and fenced pastures. Are you ready to see the property?